We hope you have as much fun as our previous guests. 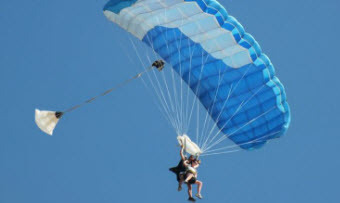 She helped us by booking our Fraser Island tour as well as the kayaking with dolphins tour. She made my life easy I didn’t know how I was going to do it all! She told me where both tours would pick us up. She did all of the paperwork, handled the payments and everything was there in our unit ready to go. I didn’t even have to think! Holidays can be quite stressful – we arrived and everything just happened – it was magical. I was really grateful. I did everything at the last minute. 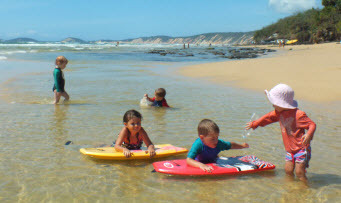 I was driving up from the Sunshine Coast when we made these bookings – that shows how last minute our holiday plans were. We went to Fraser Island the day after we arrived. Annie had every thing all booked and ready to go. She was very accommodating, and never made you feel like anything was too much. She made it easy. Rainbow Getaway has once again proved to be an ideal place for a great holiday. The unit was comfortable and quiet for resting, the shops and beach never became boring as they were checked out each day, and the morning swims in the heated pool provided the stimulation needed for increased energy levels. I loved my time there and am thankful to Michael and Annie for their caring management. 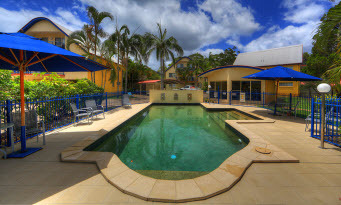 Very nice place to stay very clean, air conditioned, big tv austar, beautiful pool etc. Highly recommend by me as it is so close to amenities and walking distance to IGA and beach. Sid and Judy looked after our every need and will stay there again. 5 minutes walk to patrolled beaches, shops; tennis court, aquatic centre, clubs and restaurants across the road, walking tracks begin only metres away. Spacious, self-contained, one, two and three bedroom apartments, perfectly located in the heart of Rainbow. 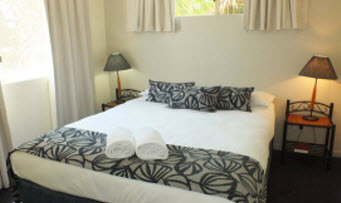 We have free Wi-Fi, Foxtel, air conditioning, linen and self catering kitchen. You can relax in our heated pool, work out in our gymnasium and wind down in our beautiful BBQ areas whilst your kids enjoy the play area. Remember you can access free Wi-Fi and book tours at reception..
Nestled in the heart of Rainbow Beach and Australia’s Nature Coast, we offer white, sandy beaches, friendly restaurants and cafes, and access to world Heritage listed Fraser Island.